Simply put, web designing is the art and technology of designing websites. Whatever you are looking for online, once you search for it, you will get results, which are going to lead you to a website. The website and whatever pages of the website you are going to view is the work of a web designer. A web designer designs the overall look and feel of a website. The color, fonts, layout are the factors that create the vibe of the website. But a web designer also has to develop the behind the scene aspect of the website, such as the functionality of the website. If you are choosing web designing as a career then you need to be us aware of what your audience of website visitors find appealing. While bright and vibrant colors, quirky illustrations and fonts may be appealing to a younger audience, the older and more mature audience will find subtle and smooth designs, stylish and easy to read fonts more appealing. They have to balance the visual and technical aspect of designing the website, understanding the needs of a person or a business for which they are designing the website. Who are eligible for this career/educational qualification? The very basic qualification you need to start your career as a web designer is a bachelor’s degree in computer science, communications or business. You can also choose to do your bachelors in graphic arts with a focus on web designing. There are both online and offline colleges that offer certification courses on web designing. While seeking employment as a web designer, you will have to provide a professional portfolio of your work demonstrating the design process used by you to create websites. If you are a high school user who wants to get into web designing, start focusing on graphic arts and computer programming, along with various web designing software used by professional web designers. In addition to a degree in web designing and an amazing portfolio of your work, you need to be innovative and artistic. Being a web designer means you have to have that special blend of talent between artistic talent and technical understanding. You have to keep yourself updated about the latest trends in web designing, and the new technologies being developed every day to design perfect websites. A good website not only creates a brand identity among its audience but also entertains them and leaves a lasting impression. And it is the job of a web designer to make websites like this. As a professional web designer in a reputed company, you’ll get to work for some serious clients. If you are a trainee, you are going to be put through extensive training by your seniors, which will help you learn the ropes. Not only in the IT and software industry, but there is also a big demand for web designers in media and news organizations. Advertising agencies and educational institutes to have requirements for web designers, which makes the fact obvious that in India, right now, web designing is a prosperous choice of career, one that you won’t regret. As with every other profession, web designing to has its own pros and cons, as a career option. It is important that you consider these before deciding whether it is truly the career for you or not. The best part about a web designing job is the fact that you don’t have to be stuck in an office from 9-5. Most web designers can work as freelancers, which mean they can work from anywhere, from home, or a coffee shop, or library. As long as you have a strong wifi connection, you are good to go. Many of us don’t easily want to leave the comforts of the home; after all, home is where the heart is. This is why web designing is an ideal career for couch potatoes who’d rather stay at home than go to the office. Stay at home in your pajamas, and work on your laptop, no one is going to bother you about it. If you are looking for a job that will always be interesting, then web designing is the career for you. No two projects are going to be similar; the variety of work is going to make sure that you stay entertained and interested forever. The Internet has already become a crucial part of everyday aspect of our life. Today whatever we are doing there is a website for that. Because of this importance, web designing is one of the career options that is going to have an increasing amount of importance and can promise you a bright future. Once the website you designed is live, the number of visitors on that website is going to tell you instantly if your work was good enough or not. This instant feedback brings you instant work satisfaction and instant work satisfaction makes you want to do a better job. Fir any qualified web designer in India, the average salary is around 2.5 to 3 lakhs. But if you are not qualified, your starting salary will probably be somewhere around 10-15 thousand rupees. So if you want to make big bucks with a web designing job, then start working on your qualification. Web designing comes with its health risks. Long hours in front of a computer screen, or sitting on a chair can give you eye problems, back and neck problems, which can become long term illness. So make sure to take necessary precautions if these things are happening to you. The competition is harsh and you constantly need to evolve yourself to stay on the lead. The Internet is ever changing which means even after you’ve finished your official schooling, you are not done with studying. You need to stay updated with the latest internet trends, marketing, and web designing developments. So if you don’t want to keep on learning, then this job is not for you. This is a very deadline-based work. Any and every project you are going to do is going to have its own deadline. And you have to meet those deadlines if you want to build up your reputation as a professional web designer. So sometimes you may have to put in some really long hours into your work. However, this can be avoided if you make up a work schedule and stick to it, making it easy for you to finish your work. Some projects may be more interesting than others. This is a hurdle faced by every web designer. You may find the project you are working on to be extremely boring. But that is just the part of work and you have to go through the dullness of it all to get to the interesting part. The market for web designing and digital marketing is always changing. Along with its audience and their preference, you have to keep up with these changing games of web designing trend, otherwise, your career can drown very easily. If you think that you are only going to work on one project at one time, you are wrong. As a web designer, you have to balance multiple projects altogether and make sure all of them are being finished within the deadline. To do this you need serious multitasking abilities. So, are you looking for an exciting career that is full of challenges? Do you have a unique blend of artistic quality and technical understanding of things? Would you like to stay at home and work from there than joining the traditional workforce of 9 to 5? If you are saying yes to all these questions, web designing is the career for you. so gear up and start preparing now, because you can’t make big money and name in web designing industry without putting in some serious work! The excitement surrounding the digital marketing industry today can easily be compared to the excitement that surrounded the IT/Software industry in the late 90’s too early 2000. Not only that, but these two industries have one more thing in common; just like at the beginning of IT/Software industry, it was easy to accelerate one’s career in a fast-growing industry, it is really easy and beneficial for anyone to join the digital marketing industry today and jumpstart their career to reach new heights. However, if you need more concrete reasons for joining the digital marketing industry and starting a career, keep reading this article. A combined study done by KPMG and CII states that by the year 2020 more than 20 lakh digital marketing jobs will be created in India. The profile for technical and analytics professionals is going to have a high demand. In the last few years, the demand for digital marketing professionals has only increased. Around 12k jobs related to this industry were posted on various online job portals, and every year the number is only increasing. Suffice to say, it is the best time to begin your career in this industry. Today a graduate without any professional experience can expect a salary of 10-20 thousand per month. Digital marketers can demand a higher salary due to the demand and supply gap in digital marketing. A Head of Digital Marketing in big companies can get from 2-3 lakhs every month. With an exceptional educational background such as IIT or IIM, people can earn more in this industry. The number of Smartphone users in India is increasing day by day. According to studies conducted by TOI, the number of internet users in India will be somewhere around 730M by 2020. Ours is the second largest internet population, right after China. So it is quite obvious that with such a growth in internet usage, the companies and startups are going to try and reach more audience through the internet, and the demand for digital marketing professionals is only going to increase. The overall growth in every industrial sector in India is bound to affect the digital marketing sector in a positive way; whether it is the increase of investment in the digital marketing campaign by big companies or the growth of Indian e-commerce industry. Becoming a part of the digital marketing industry has never before been more beneficial than it is now. Digital Marketing Executive: this is an entry-level position. If you are a complete newbie to this industry, this is probably going to be the position you’d acquire when you join a digital marketing organization, or you can also join as SEO executive, SEM executive, Social Media Manager, etc. in this specific job profile, you’d have to work with a team leader or manager, conducting many tasks such as testing, content development, research, etc. Digital Marketing Specialist: after having at least 2 years of experience as Digital Marketing executive of SEO or SEM executive, you can be promoted to a specialist position such as n SEO expert or SEM expert, or maybe Content Marketing expert. In such a position, even though you would have to report to the manager, you’d still be expected to make a lot of the decisions independently. Digital marketing analyst: Agencies with a heavy focus on SEO, SEM, and Social Media Marketing have needed skilled strategic and analytic professionals. The professionals in this specific profiles act more like a guide or consultant for the team leader and manager. They contribute across several departments. A strategist’s job is to improve the overall effectiveness of digital marketing strategies being implemented by the agency. Head of Digital Marketing: this is the most senior profile for the digital marketing industry. Companies with an integrated marketing campaign, the digital marketing head reports to the Chief Marketing Officer, who is responsible for the entire marketing function for the organization. The above roles, however, are not standardized. They vary depending on the organizations and what they need. But all these job profiles have tremendous growth possibilities and continuous learning, making them a great choice for career option whether you are a professional or a student. The variety of job profiles and opportunities make the online marketing career seem like a bigger opportunity. There are basically three kinds of organizations that require Digital Marketing Professional. Digital Marketing Agencies: these are agencies who provide digital marketing services to the clients. These small, mid or large digital marketing agencies can offer services that include SEO, SEM, Social Media Marketing, etc. these days advertising agencies also offer digital marketing services. Working in such an agency means you’d be able to enjoy a variety of work due to the variety of clients, however, it’ll be very hard to delve deeper into working on one brand. Brands that require digital marketing professionals: there are many brands that require digital marketing professionals. These brands, instead of getting the services from any digital marketing agency, employ their own team for marketing their brand online. While you can enjoy a variety of work and clients working with a digital marketing agency, working for a specific brand lets you get an in-depth experience. Digital marketing platform companies: there are a number of digital marketing platforms such as Google, LinkedIn, Facebook etc. these companies have their own need for a digital marketing professional. 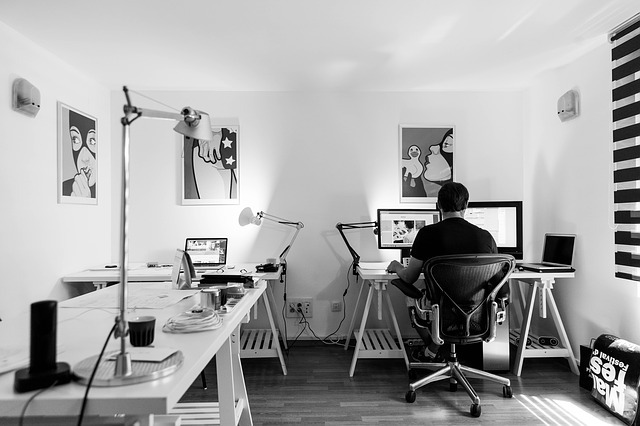 The work type and experience varies with these companies when compared to working for agencies and brands it is a lot different. Job opportunities are limited but they have a much higher salary. Except for these full-time jobs, you can also work part-time or as a freelancer, offering your digital marketing expertise to those who do not want to pay the hefty amount demanded by digital marketing agencies. Added to the technical skills absolutely important for making it big as a digital marketing professional, there are a few other skills you would need to make sure of your success. Analytical ability: it is a critical skill you need to be able to become successful as a digital marketing professional. It is key strength you have to possess to solve all and every problem you would face in your professional field. Creativity: the digital marketing field needs its professionals to be quick and creative. The amount of content that you would have to create and handle, it is imperative that you have your creative skills on point. A thirst for knowledge: digital marketing is a dynamic field where one is learning and evolving every day. So you have to be open to new adventures and knowledge. Having an open mind and thirst for new knowledge will serve you good for your career. Good communication skills: good written and vocal communication skills are important. You need to communicate well with your client and audience and without good communication skills, you’d have to depend on external sources which are not always efficient. Multitasking abilities: internet marketing campaigns in most cases include continuous activities. So you need to have some serious multitasking abilities to handle all the marketing campaigning tasks and make sure everything goes smoothly. Passion for digital marketing work: the professionals in this field who are truly passionate about their work are a lot more successful compared to those who are not really passionate. Networking skills: networking skills, especially online, is important for any digital marketing specialist to stay updated with the latest trends in internet marketing. Tech savvy: since it is digital marketing, and most of it deals with the digital aspect of life i.e. with Smartphone’s, computers, etc, you need to be a little tech savvy. If not, at least being comfortable with technology is required if you want to make a career out of digital marketing. Experimental tendencies: since it is an evolving industry without any defined rules and regulations for things, you have to have a little experimental ability. It plays an important part in making you successful in tricky marketing campaigns. 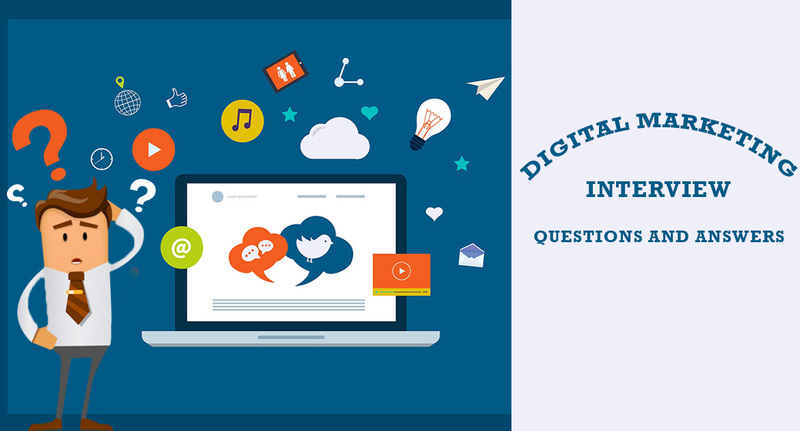 So, in conclusions, we can easily say that a career in digital marketing is an incredibly attractive career option. With enough skills, training, and willingness, anyone can make it big in this industry. But it is not without its challenge. The digital marketing industry is growing rapidly and offering a career that offers growth and success with its own challenges. If you think you can easily handle the challenges while also carving out your own piece of success, then you should definitely choose Digital Marketing as a career option. A landing page means a destinations page, a page you are sent to when you click on a link. It is the page where any website visitor would land when they click on any link. However, a landing page is a very important concept for inbound marketing and lead generation. With the use of landing page you can convert the visitors of your websites into leads by providing you with the means to get their emails. A landing page is incredibly important for your website. You’d need distinct, separate pages for your web visitors to be redirected to when they are clicking on any link related to your website. Landing pages are imperative part of inbound marketing strategy and by using them you can generate numerous leads for your business. Importance in generating leads: the main purpose of landing pages is to generate leads. The main reason for you to have a website for your business is to get traffic and then convert them to leads who would later become customers. According to the studies, you’d capture more leads by providing the visitors with a landing page rather than just sending them to your homepage. It is an effective and simple way of generating more leads for you. The collection of information regarding prospect demographic: most of the time a landing page has the visitor fill up a form with some information such as their email id and age, name and perhaps occupations. This helps you to generate leads, but this information also give you important demographic data that helps you to understand your target audience, their needs and improve sales. Tracking the data: you can easily track the landing page data to see if the visitors are signing up for specific offers, or services, or downloading PDFs provided by your website. This helps you to understand of the offers and services your website is offering is doing well with the visitors and if they are helping to turn those visitors into leads. Tracking the landing page data help you to understand if your marketing strategies are effective or not and optimize them according to need. Helping the visitors by removing distractions: sending your visitors straight to the home page m from converting. When they are directed to the homepage, they might get overwhelmed with the number of ways they can engage with your website, and even though this engagement is good for your website, you still want them to convert to prospect leads, and for that, you need to remove all the distraction, hence the need of a landing page which is clean cut and to the point without any distractions. Clearing up the purpose of the page: landing pages are short and precise when it comes to stating their purpose to the visitor. The contents of the page make it clear to them what kind of action they need to take in order to contact you, sign up for a service or download a specific thing from your website. Make sure the visitor actually makes a decision: a good landing page makes it easy for the visitors of your page to make decision. By removing all the distractions, giving them a call to action and having a clear message, you’ll make sure that they don’t hesitate and take action quickly without feeling indecisive. Optimize and experiment with your landing page to better understand your leads: by optimizing and experimenting with your landing page such as adding images, changing colors, form fields etc, you can see what is engaging more audience and what is stopping them from converting. It gives you a better understanding of your prospect customers. Now that we know how important landing page is for your website, it is time to find out how to make sure that your landing pages are effective and generate leads. By following some simple tips and tricks you can make sure that your landing page generates a satisfying amount of leads who would later turn into prospective customers. 1. Less links, more action: studies show that landing pages with only one call to action button has a higher rate of generating leads than pages that have more than one link. The meaning behind this is very easy to understand. The visitors would find it easier to decide whether they want to engage or not. The point is to remove the distraction of multiple engaging links and give them only one link with which they can engage with you. 2. Mobile friendly pages are more effective: many people these days use their mobiles to browse the internet rather than desktop of laptops. 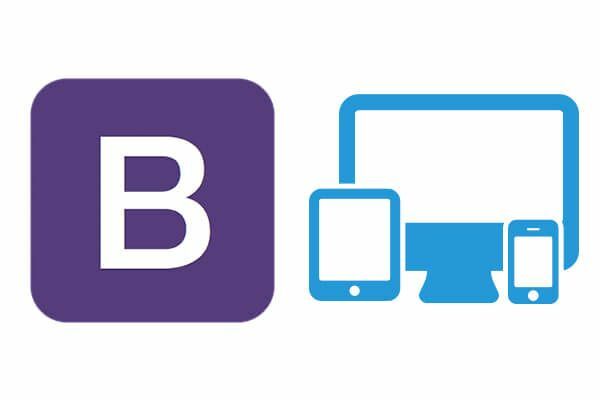 So it is very obvious if your landing pages are not mobile responsive or mobile friendly, there will be a lot of people who’d not be able to engage with your website and leave to find some similar website who may have a mobile friendly landing page. 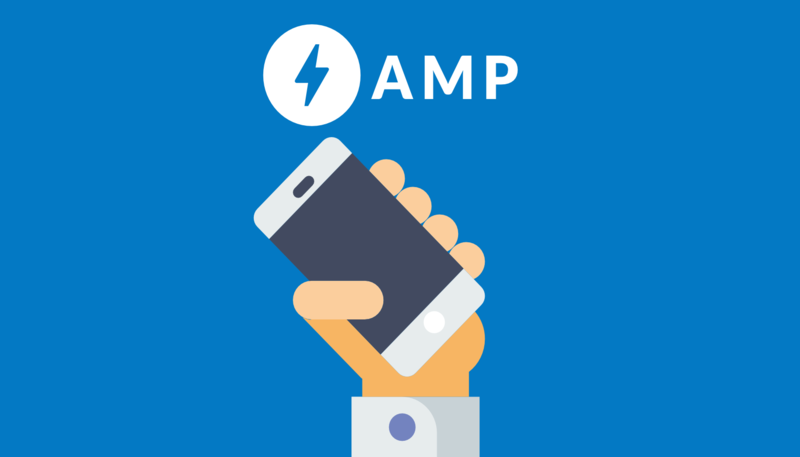 So optimize your landing page to be mobile friendly. 3. The loading time and the wait: we all love a web page that loads quickly. And it happens to be the case that when landing pages take a long time to load, visitors lose interest and leave without waiting for the page to load. This is more often than not attributed to the use of uncompressed images. Make sure that the loading time for your landing page is not at all long and the images you are using are compressed to make it speed up. 4. Social media proofs: a landing page that has various social media proofs and customer testimonials and images provide you with greater chances of converting your visitors into leads. Getting proper proof about the quality of your business and services make people trust your website more and makes them more prone to engage with you. 5. Keep the word count in mind: make sure that the word count of your landing pages stayed to a minimum while being clear about the purpose of the page. Make it too wordy and you might lose a prospect lead. 6. Use Shorter Forms: when it comes to looking for any kind of services online, people want things to be nice and easy, after all, the main reason they are looking for services online is because it is easier; which is why, rather than having a long list of things in your forms that they need to fill in, make your forms shorter, with only a few important crucial information you need to generate the leads. Don’t ask them to give you don’t need. Make the forms shorter to make it easier for your visitors. 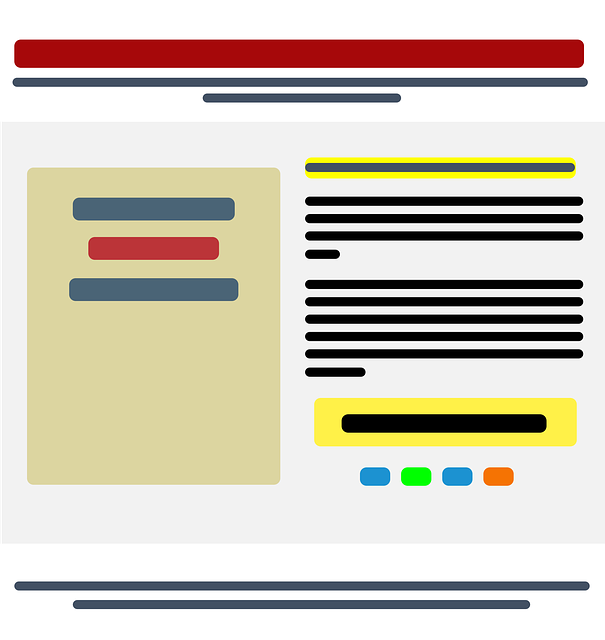 In case you are running a website, or are in anyway attached to the digital marketing industry, you’ll know the importance of a good landing page is very crucial to your work. So make sure to follow the above tips to create a perfect landing page that’ll being more leads and customers to your business. However, there is no fixed set of rules for creating a 100% effective landing page. Different things work for different business; what is effective in case of a car dealership business, may not be effective for a medical website. There are a few basic basics, proven tactics that have been used by marketers for years that you can follow to make sure that your landing page generates more conversions. As a bottom line we can say that a landing page needs to be nice and easy on the eyes, short and sweet in clearing up its purpose to the visitor and give them an offer they can not refuse. The landing page for your website is just as important as the homepage, if not more. so make sure that your landing page is absolutely perfect. Before you begin the process of SEO audit for your website, you need to understand what it means. 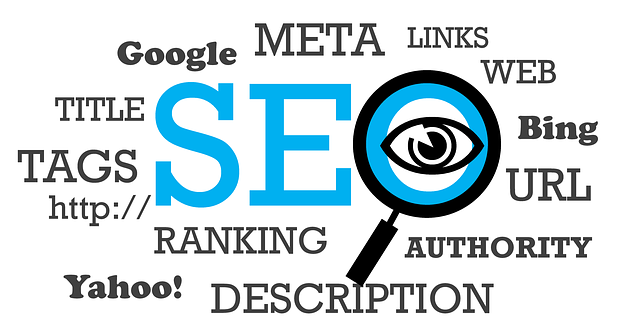 SEO audit is a process with which you can evaluate your website’s search engine friendliness. 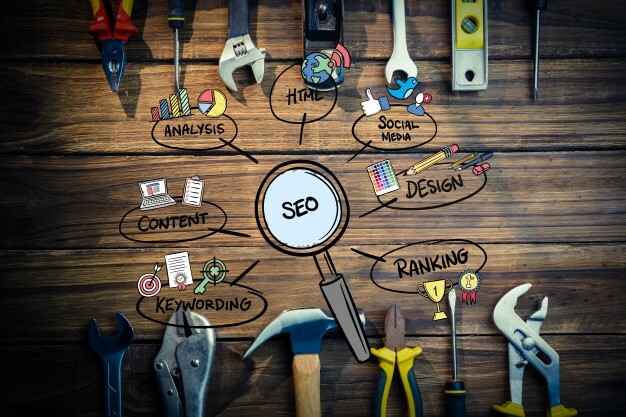 There are many tools you can use for the SEO audit for your website. It is important for you to do an SEO audit of your website once in a while because it improves the website’s performance online. The SEO industry is changing regularly and it is important to keep your site updated. SEO audit is an important procedure that helps your website to stay in sync with the regular updates to Google’s ranking algorithm. Now that we have a brief look at what SEO update is and why it is important, let’s jump into how to perform an SEO audit for your website! 1: checking for Google penalties. The first thing you need to do when performing an SEO audit for your website is to check if your website is in any way penalized by Google. Being penalized by Google puts a negative effect on your website ranking and traffic. So, how do you find out if your website is penalized or not? There are two easy ways. The first way is very easy- all you have to do is to log in to Google search console and select ‘Manual Actions’ situated in the left menu. You’ll see the reasons if your website has any manual penalty on it. The second way, you are going to log in to Google analytics, and then proceed to Acquisition/ All traffic and then select Source / Medium situated on the left menu. By doing this you are going to compare the Google organic traffic for the dates when Google released an algorithmic change. If there a sudden drop or increase in organic traffic, then it means your website was affected by the algorithmic changes. If you find your website to be penalized by Google, the best way to proceed is to find out the reason for the penalty and rectifying it during the auditing process. Doing this will not only help with your ranking but would also make your website more reliable for the users. Is the first item on the result page your homepage? Are the descriptions below the homepage and other pages accurate? The name and other information on the GMB page- are the correct? The pages listed on the first page of Google results, are they relevant? Is Google showing site links with your listings? Are these related searches relevant to your brand? Are there any relevant searches for which you can create a page and utilize it? If there is some problem with your search appearance, then it means that there are a number of issues for your website. You need to fix these issues before getting on to the next step. Now that you’ve done a Google penalty check and a search appearance check, it’s time to do a thorough website review with Technical SEO audit. For a layperson, this may seem scary, but there is no need to be scared. The steps are quite easy. 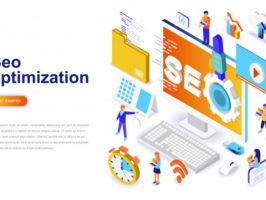 A Technical SEO audit is important in order to make sure that search engines have proper access and they can index your pages without any problems. Go through the list and check out if your website has any issues with its technical SEO. Your website- is it registered with Google search console? You need to have your website registered to Google search console. It is a free tool from Google that gives information to the webmasters about their own websites. Things such as the number of indexed pages, the keywords for which the site ranks, security and indexing issues, all can be found in the various tool options and reports. It is imperative that you have your website registered with Google search console to keep up with everything. Is the domain name specified for your website? To avoid a duplicate content issue, make sure that you’ve specified your preferred domain name in Google search console and website setting. Google considers websites with ‘www’ in front of the domain, and without ‘www’ in front of the domain as different. Such as- ‘https: //www.w3webschool.com’ and “https://w3webschool.com’ may be the same website, but due to the absence of ‘www’ at the beginning of the second link, Google would consider it as a different website. So make sure you have specified your domain. Websites have robots.txt file which controls which pages are accessible by search engine crawlers. 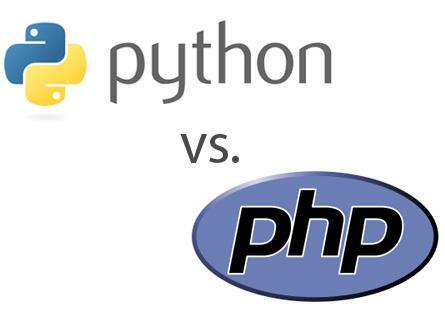 You need to make sure that there are no problems with the file; otherwise, there can be serious optimization issues. The URLs. Are they SEO friendly? Review your URL structure to see if they are SEO friendly. The URLs on each page need to be unique and properly formatted. Good URLs include keywords, but they are never keyword stuffed, use hyphens ‘-‘ to separate the keywords, have less than 255 characters, and are unique to each page. See if your URLs match all these criteria’s before moving onto the next step. What are Content Marketing and its future? The breadcrumb menu- activated or not? The breadcrumb menu is shown at the top of the page and helps us to navigate easily to the homepage following the menu links. It makes the site easier to the users, so make sure that the breadcrumb menu is properly working. The structured data helps Google to understand the context and meaning of the content on the age and gives your website additional ranking benefits. It is used by Google to enhance the presentation of any website in search results, or voice searches. So while doing the technical SEO audit you need to see if you have structures data enabled for your homepage, breadcrumb menus, articles and products. Canonical URL helps the webmasters to deal with duplicate content issues and also helps Google to identify which are the most important pages of a website. Every page of your website must have a canonical URL. 404 pages are shown to the user when they try to find a page that is not on your website. Make sure that your website has 404 pages optimized for smooth and easy user experience. The XML sitemap contains all the website pages that are important for your website and Google needs to know about. Once the XML sitemap is generated by your CMs, it’ll be submitted to Google through Google search console. Does your website have HTTPS? HTTPS means that a website has a secure certificate installed and the URLs that start with HTTPS have a better advantage over non-secure websites. Making sure that your website is HTTPS will only make your rankings better. Use page speed service or caching plug-in to serve the cached pages to your users. Update website and software to the latest version. People are using mobiles more than computers and laptops to search for websites these days. So obviously your website needs to be optimized for mobile. Google mobile first index excludes those websites from mobile searches that are not optimized for mobiles. So check if your website is mobile friendly with Google mobile-friendly test tool. Your website available in more than one language? If your website is available more than one language then it should have the necessary SEO setting in the HTML, if not, Google would consider all the translated content as duplicated content. So make sure you have the proper SEO settings in the HTML codes. Through the use of keywords and on page SEO elements, you need to give the search engine crawlers right signals. 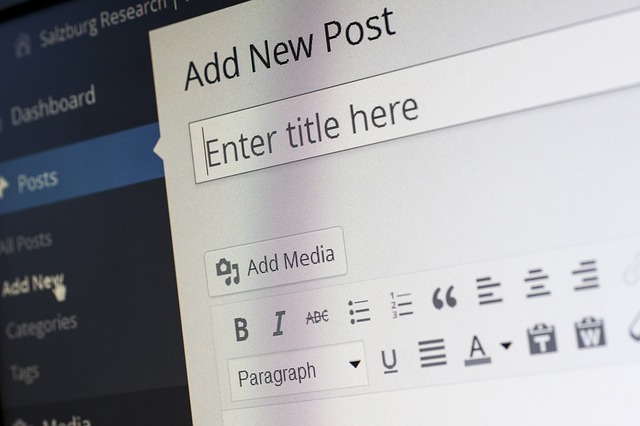 Check your titles and descriptions and optimize them: this includes your titles and descriptions, make sure that they are relevant to your website. Make sure that they are SEO friendly. Proper text formatting: make sure that the tests on your pages are not plain texts. You should use H1 for the main title and H2 for the main headings. Check out the SEO content: check your SEO content for uniqueness and freshness. Make sure all the contents on your pages are unique and fresh, and not copied from anywhere. Update your website content on a daily basis. The image SEO: having a lot of images on your page may make it attractive, but make sure that they are all compressed to the minimal size so that the loading time of the page is not long. Off page SEO audit, often referred to as link building refers to methods used to promote the website on the internet. You need to be careful while performing off page SEO audit because if you make any mistakes it can be really risky. Make sure you evaluate your incoming links and find out which ones are the toxic links. There are many tools to do this. Or you can use links to your site report from Google search console. Are these domains considered to be trusted? Which pages have most incoming links? Corrective measures need to be taken based on the answers to these questions. If there are only a few domains linking to you, you need to get links from websites and blogs that are related to your subject. Create a list of websites and blogs you can use for guest blogging or outreach campaigns. Make sure not all the links are pointing towards your homepage, but some of them point towards internal pages as well. The links need to be more natural and not keyword based. Use only your domain name, and things like click here, or link etc. In terms of Search Engine Optimization, or SEO, keywords are particular words or phrases that people use to search contents on the internet. If you are looking for second-hand cars, then obviously you’d search for ‘second-hand cars’ online; these three words are the keywords, and the search results are going to pull up all the results related to these three words. Keywords are important when it comes to your own website content. Any search queries that we put in the search bar, brings up a list of result. But this list is not just a random list of websites or blogs. These lists are ranked from most to least relevant, which is why you need to use proper keywords in your blog/website content to keep it relevant so that your website can rank higher in the SERP. A higher rank in a search engine result page means you will get more traffic, which means you’ll get more exposer and business. Keyword research is a very common practice for SEO professionals. It is used to find alternative search terms that people use every day to look for specific and similar subjects. While researching for keywords, you need to find that one niche keyword that describes your product or your service, and then you need to expand on it. The point of it is to find and generate keywords and terms that are extremely relevant, but not-so-obvious to the niche keyword. Once you have a list of such keywords, you can use them in your content to make sure that your website/blog ranks higher in the SERP. In order to achieve a higher rank in search engines, you need to search for related keywords that have a high number of searches, but low competition. These are the keywords that bring more traffic to your website. However, it does not mean that you can just stuff your content with keywords and make is super relevant to make it rank higher. It is a black hat SEO technique that should be avoided. So, how do you research keywords? How do you use this very basic and simple technique to increase the traffic on your websites? It is very easy; all you need to do is to follow some simple steps. Thinks of subjects that are related to your content. This can be a broad range of subjects, as you may provide content about lots of different things. Even if you are focusing on one topic, such as ‘used cars’, it still is a broad topic that covers various other subtopics. So it all begins from finding that one or two core subject which is most relevant to your website content. Now that you have your main broad subject, you need to think of all the subtopics in that range. You have to go deeper into these categories that you determine for your business and think up keywords that match with the theme of your core topics. For example, if the term ‘used cars’ is your core topic, then terms such as ‘used fiat cars’ or used Maruti cars’ are your sub-topics within this range. Now you need to prioritize what products and services you want to focus on to finish the list of core keywords. For example, if you specialize in selling used vintage cars, then you may want to prioritize ‘used vintage cars’ as one of the keywords on your list. While doing keyword research, you will come across hundreds of search terms that are related to your service. But just because they are related does not mean they are useful. You need to decide what exactly is the goal that you are trying to achieve by doing this keyword research and then decide accordingly what keywords you should use and which you should ignore. By doing this, you would actually have a focus and your keyword research would be fruitful rather than a confused and hectic mess. Once you have sorted out the keywords YOU need from the hundreds and thousands of keywords you’ll find, you need to start categorizing them. Sort them out in different categories based on brands, sub-brands etc. This will give you a more structured way of dealing with the list of keywords. Sometimes the keyword list can contain only 20-30 keywords, while sometimes they may include hundreds. In such case,s it is important to categorize those numerous keywords into sub categories. Now that you have a sorted out list of keywords, it is time to actually apply them on your website. While doing this, you’ll find that one or two keywords are only applicable to specific pages. These specific pages are called landing pages for those specific keywords. By applying proper keywords on the pages they are relevant to, you can achieve high ranking. 5: Keep Refining Your List of Keywords Regularly. It is important for you to keep on updating and refining your lists of keywords by using PPC and Google analytics data. By doing so you’ll be keeping your website relevant and traffic will always be up for your website. 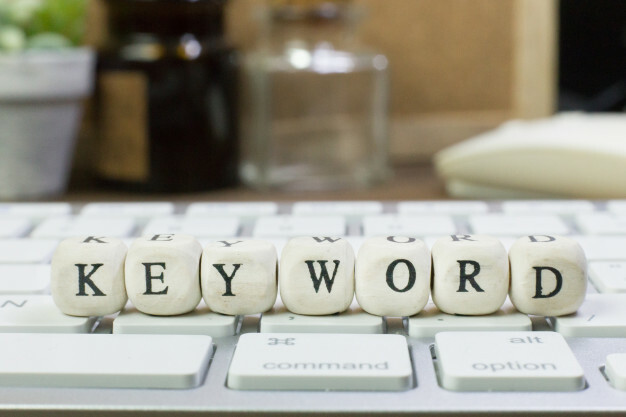 So, after learning briefly about keywords, and how to do keywords research, you might ask, what is the importance of it all? Why do you need keyword research? Is there a point to it? There is only one answer to these questions; and that is, yes, keyword research is extremely important and you need it in order to beat your competitions in the online battle of getting more traffic. The most important reason why you should do an extensive keyword research for your web content is because it makes the contents more relatable. More relatable content means better ranking and better ranking means more traffic. It helps you to keep yourself up to date with your audience. Their use of language and how they search for topics online tells a lot about their needs, their age range and their locality. By using these data, you can improve your business and modify your services to best fit your audience’s needs. This would make your business more popular and people will keep coming back to your website for more. Proper keyword research for your website means you have a chance to battle the competitors online who are vying for the highest rank of the SERP. There are hundreds of different website with similar services who are fighting the online SEO battle everyday to better their ranks. A proper keyword research and its implementation means that not only you’ll be a stronger fighter, but it also means that you’ll rank better than all your opponents, which is basically the main aim of SEO. In brief, content marketing is a style of marketing that is more focused on creating, publishing and then distributing content for a specific group of audience online. This form of marketing is basically used to attract prospects and then transform them into customers with the valuable and educational content that you are going to share about your business. These contents will raise the interest of the audience in your brand and they will eventually become your consumers. Instead of a commercial approach to marketing, where you are basically offering a sales pitch to your customers telling them what they need to buy, content marketing helps the customer by telling them about the solution of the problem they are having, and helping them better their lives; simultaneously gaining the trust and loyalty of the customer, and creating a good rapport with them. The main idea is that through content marketing, the brand must share something valuable for something valuable in return. Content marketing has been in use for a long time now. Whether we are talking about the publication by Johnson & Johnson in 1888, called “Modern Methods of Antiseptic Wound Treatment”, which was targeted towards doctors that used bandages, or in 1904, when Jell-O salesmen distributed cookbooks at every house that described the dessert as versatile, resulting in the sales rising to 1 million in two years, content marketing has been in use for many years. But recently it has been gaining new track due to the popularization of internet and blogs, and articles. Today we all consume a huge amount of content every day, so it is only smart to use this large consumption of content to market your brand. 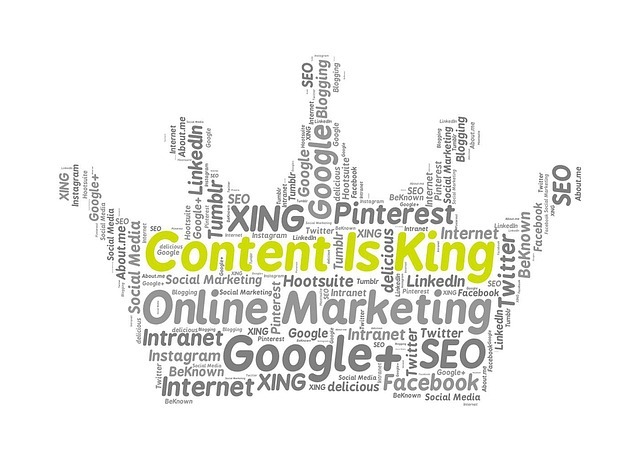 When we are talking about content marketing, the word content takes the center stage. What is the content? Well, content can be anything. It can be a blog article, it can be a podcast, or a video, infographic, or an e-book or pdf. Anything that accomplishes the job of content marketing, which is to draw and engage the audience, can be called content. The use of this content depends on what kind of product you are trying to market. Surely you can’t create a podcast to market your brand of breakfast cereal. Which is why you need to take a closer look at who your target audience is going to be and what kind of content they indulge themselves in the most. After learning briefly about content marketing, you might ask why to bother with so much, when you can easily just make a sales pitch and a good advertisement and reel in the consumers. The question is justified. In order to understand the answer to this, you need to understand how people these days make their decisions about all the products and services they choose to buy. Today we don’t just see an advert on tv or on the yellow pages and decide on buying. When it comes t the buying cycle, the first step we go through is recognizing the need. if we are tired of taking public transport, we would soon recognize that we are in need of a car. From there, we come to the second step, which is research. Once we realize that we need a car, we are going to go online and research about cars, which would be perfect for you. Once you have found out all about the different kinds of cars and their pros and cons, you are going to compare them to see which one fits you the best. And then finally, you are going to buy a car that is going to best suit your situation. It is during the second and third stage of the buying cycle you would utilize the various car related content on the internet the most. This is where content marketing comes in. The various car companies and car dealers, by creating and publishing different car related content are going to reach you, the possible buyer. Once you go through their content, you would not only come to know more about cars but somehow start having a little trust in them and their service. And by building this trust, one of these car companies or dealerships are going to transform you into their customer. So yes, at the end of the day, content marketing may sound very complicated, but it is very simple. By creating educational and valuable content, you attract and engage a target audience, who become the prospective customers for the product you are trying to sell. So, now that you have a basic knowledge of what content marketing is, it is time to understand what the future of content marketing is going to be. Today content marketing is a strategy applied by every product that you see in your daily life. Whether a food brand or clothing, art supplies or medicine, every brand is using this strategy to bring in more and more customers to their brand. As a result, every day there are millions of blog posts being uploaded all around the globe. This number is only going up every day, and it will keep doing so. The first generation of content marketers had it easy. But after plenty of years being in use, all the element of surprise and creativity has already been drained form content marketing. Today when you are writing an article for your new product, there is a fat enough possibility that someone somewhere has already written and published similar if not the same content. With the number of content being uploaded every day, it is almost impossible to come up with a unique and new approach to any topic. But sadly enough, that is exactly what you need to do if you want to keep using the strategy of content marketing effectively. So how do you create new and refreshing content to make sure that your brand is something that everyone comes to? 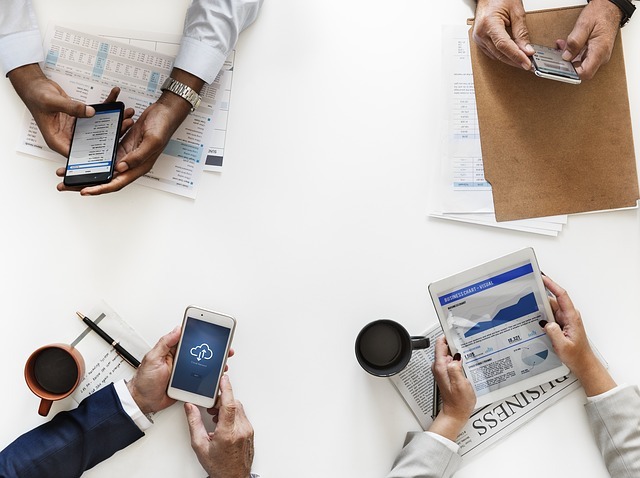 Make sure that the content that you are producing is more audience-centric, and not only that, but they feel connected to the content. If you are writing an article, then add some of your own experience into it. If you are making video content, then make sure that what the audience sees, they connect with. Using different techniques such as influencer marketing, where you get someone popular on social media to endorse your brand or interactive marketing through polls and quizzes where your audience gets to share their personal opinion with you are going to be few of the ways you can come out on the top as a content marketer in the future.